At one time pewter was the status symbol of such rank that the old kings ate from pewter plates, while lesser mortals had to put up with gold ones! This should at any rate prove that pewter takes kindly to contact with all kinds of food, and that it is non-toxic. 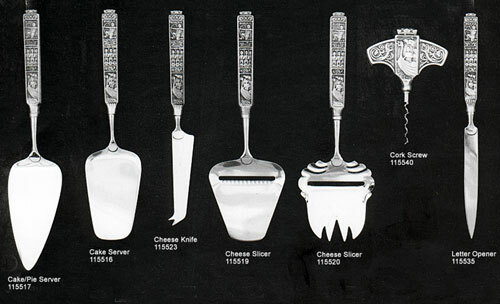 The people of today do not put pewter flatware on their tables to prove that they can afford it, but because it is a genuine product of lasting beauty, with attractive patterns. This flatware can be machine washed, but certain types of detergents tend to darken pewter. Pewter can be polished with fine steel wool moistened in luke warm, soapy water. Handles should be polished lengthwise.